Yes, this is a positive review about a 2 in 1 shampoo and conditioner. No, I have not lost the plot. No, I am not being paid; this is not a sponsored post. I purchased Pantene Smooth & Sleek 2 in 1 Shampoo and Conditioner (400ml) from Superdrug. It was temporarily discounted, only costing £1.98 (RRP £3.99). 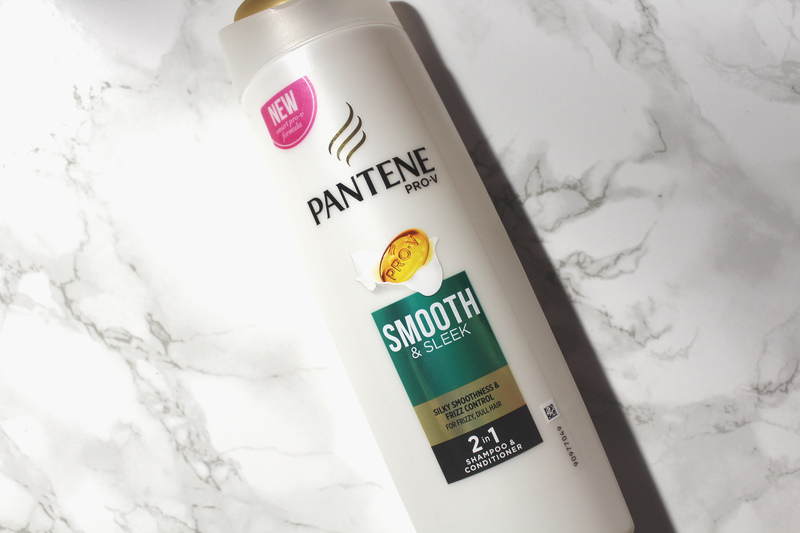 Pantene Smooth & Sleek 2 in 1 Shampoo and Conditioner is brilliant! It is also affordable. It is a must have, my go to shampoo as I have no desire to use it to clean as well as condition. I have been using it as a shampoo as it performs like a shampoo. It lathers and thoroughly cleans your hair. What makes it far superior to the standard shampoo is its ability to leave your hair feeling conditioned as well as squeaky-clean. Pantene Smooth & Sleek 2 in 1 Shampoo and Conditioner is formulated to combat roughness whilst controlling frizz. It also locks out humidity, leaving your hair manageable. According to Pantene, “micro-smoothers” silken your hair strands to lock out humidity, preventing frizz from forming. I don’t care for the marketing jargon; it makes no sense to me but one thing I do know, Pantene Smooth & Sleek 2 in 1 Shampoo and Conditioner works wonders! It also smells divine. The scent is quite fruity; I detect apples, green and red. 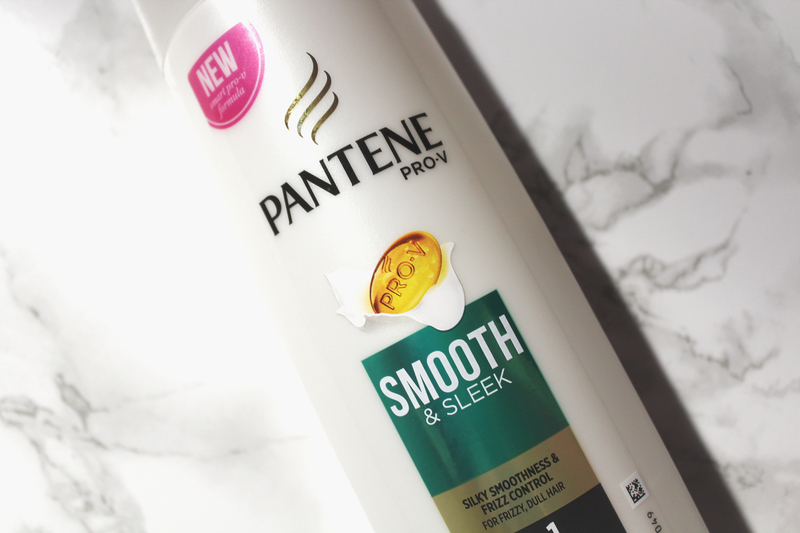 I am very impressed with Pantene Smooth & Sleek 2 in 1 Shampoo and Conditioner, especially its lathering capability, it is effortless; a little goes a long way. Pantene Smooth & Sleek 2 in 1 Shampoo and Conditioner left my hair feeling clean, moisturised and abnormally light. I don’t know how to describe the feeling. My curls felt like clouds on my head. I also noticed my curls looked a little less frizzy and extremely defined. I have exceptionally frizzy hair and whilst this could not tame my frizz, it did mildly subdue it. Overall, I am sold! I will be purchasing Pantene Smooth & Sleek 2 in 1 Shampoo and Conditioner again as this is now my main shampoo. A good shampoo is hard to find when you have afro hair. 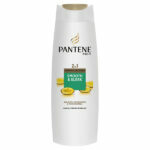 Most are too stripping but Pantene Smooth & Sleek 2 in 1 Shampoo and Conditioner is perfect! I can only recommend it.